E major chord for guitar in different forms: open, which is the standard, plus barre chords with the bass tone on the fifth and sixth strings respectively. The primary chords that sound good in a chord progression with E is: F#m, G#m, A, B, C#m. Index (1st) finger on 3rd (thinnest) string, 1st fret. Middle (2nd) finger on 5th (thinnest) string, 2nd fret. Ring (3rd) finger on 4th (thinnest) string, 2nd fret. 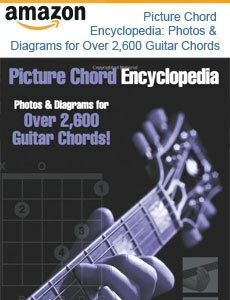 The notes that an E chord consists of is E, G#, B. To get E7 add D.
To get Emaj7 add D#. To get E6 add C#. 1st inversion: E/G# (means that G# is the bass note). 2nd inversion: E/B (means that B is the bass note).